Frisbolice will celebrate the release of their forthcoming new album 'Hard Way' with a big album release party at Headcrash in Oldenburg on feb. 8th ! sep 27 2013 The new Dynamite magazine (available since sep 27th) provides a song from their new forthcoming album on its enclosed compilation CD. Don't miss it ! 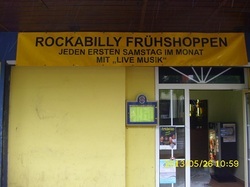 may 29th 2013 The Frisbolice will play this saturday (jun 1st) in Hildesheim on Stew's legendary Frühschoppen. Location is Mehmets Rock Inn (Martin-Luther-Str.). Be there at noon ! 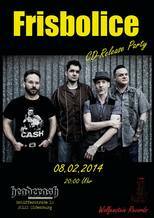 mar 18 2013 Finally the release party for the new EP Lots Of Lovin' will start at Headcrash in Oldenburg on april 27th ! 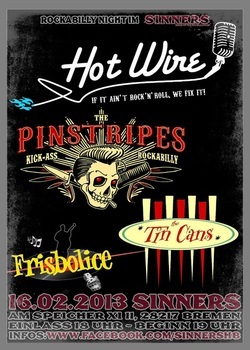 Party will be opened by the Rockabilly Trio Stringtone Slingers. EP Lots Of Lovin' on Google Play ! Lots Of Lovin' is available on Google Play now (including a bonus track) ! Check it out here ! New EP available from dec 21st ! dec 12 2012 The new 7" EP Lots Of Lovin' will be available from dec 21st ! New Dynamite magazine with song from The Frisbolice available now ! nov 28 2012 The new Dynamite magazine (available since nov 30th) provides a song from their new forthcoming EP on its enclosed compilation CD. Don't miss it !